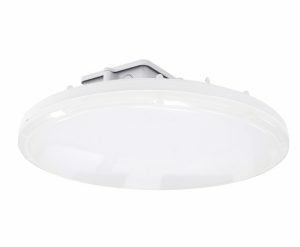 The IP 65 and NSF ratings on the Phoenix make this fixture great for dust and spray down applications, as well as high humidity areas where condensation build up is a concern. Designed with superior heat management in mind for areas that reach temperatures as high as 140°F/ 60°C. The Phoenix is easily installed with threaded pipe, a hook, or aircraft cable.